The Codex Celtarum contains a veritable host of gaming material. 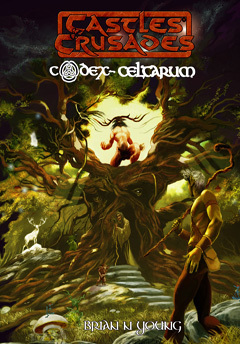 Built around the complete mythological cosmos of the Celts, inThe Codex Celtarum, you'll find new spells for your Druid, cleric, and illusionist as well as new monsters, including mountains of fey and new magic items. For the very bold, there are new powers for your characters, allowing your characters to become fey!